The time is here for some of the best family fishing of the year! 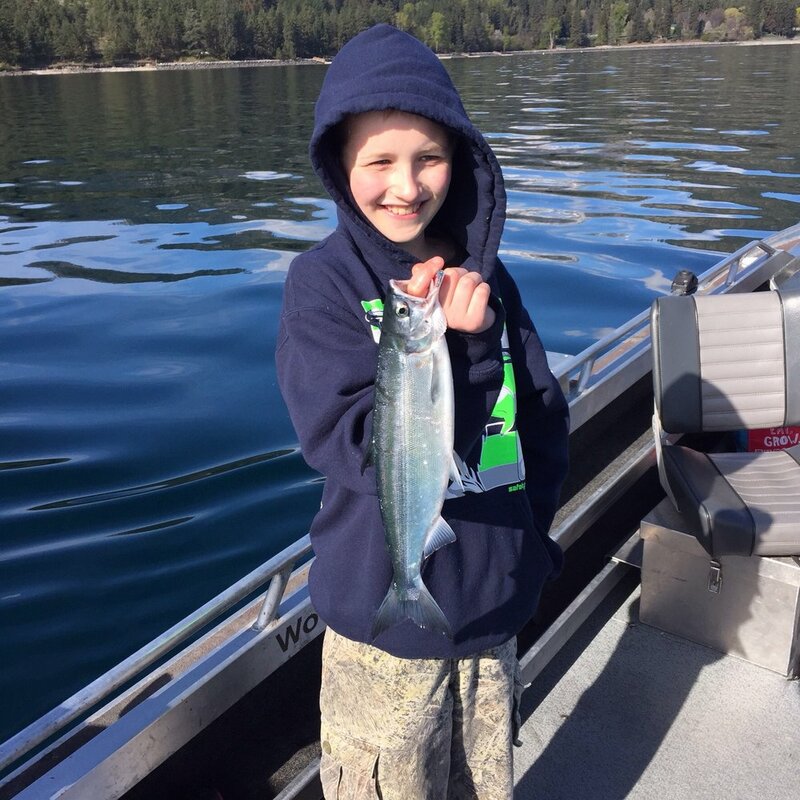 It's Kokanee time on Lake Chelan, and it's going to be another great season. With a limit of 10 fish a person these days are a blast for all anglers from advanced to beginners. And to top it all off I am offering the most affordable prices of the year, $150 a person or $550 for 4 people and $100 for everyone over 4 people. We will be fishing out of our 23' Wooldridge Super Sport Drifter with room for up to 6 anglers comfortably. This is a trolling fishery, we will use our Fetha Styx dr 803 rods where we will be trolling small dodgers and trolling flies or spinners or small hoochies. We will put on a piece of Pautzke Fire corn and then dip in Super Dipping Sauce and let it down and wait for doubles, triples, even the occasional quad, yep 4 fish non at one time let the chaos begin! I will be fishing this fishery until late May when we move onto spring Chinook on the Wenatchee and Icicle rivers. Then we will be onto the very popular sockeye and summer run King fishery on the Upper Columbia River. Where Springers are mostly filled up I have lots of spots open spots for summer sockeye fishing on the Upper Columbia and Lake Wenatchee. Looking forward to a great fishy summer! Sign up for the mailing list and get specials on trips and pertinent fishing info, just name and email are required. 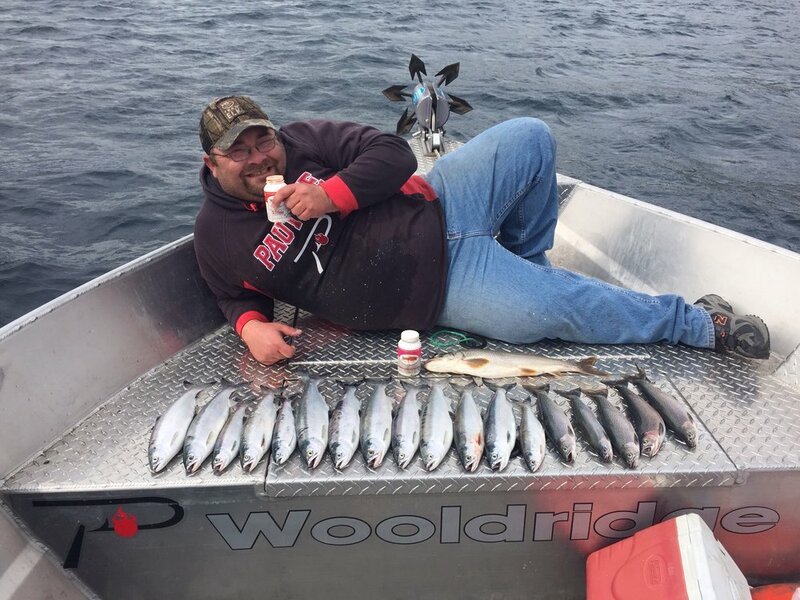 Sockeye season in full swing!